The discovery of what Chechen scientists believe to be dinosaur eggs is causing a ruckus among paleontologists. The sphere-like fossils were found on a construction site and the area has become a magnet for locals eager to look at the ‘dinos’. Workmen building a new road were blacking through a hillside near the Chechen border with Georgia when they came across what geologists described as a clutch of 60 million year old "eggs". "We've found about 40 eggs so far, the exact number has not been established,” a senior geologist at the Chechen State University, Said-Emin Dzhabrailov, told Russia’s NTV channel. "There could be many more under the ground." The “eggs” range from 25cm to one meter in diameter. 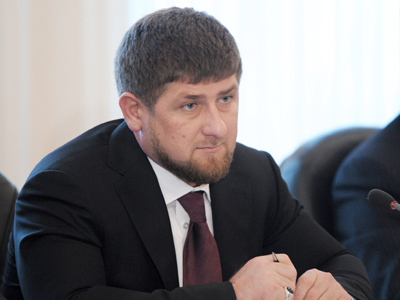 They belong to herbivorous dinosaurs, claimed another scientist from the Chechen State University, Magomed Alkhazurov. Some of them have been sent to paleontologists in the city of Yessentuki in southern Russia’s Stavropol Region for examination. Other scientists are skeptical about the discovery, pointing out the dinosaurs had never lived in the mountains. They agree, the spheres are something made of stone and sand, not animal remains. They also say what’s been uncovered in Chechnya are too big to be the eggs as the largest dinosaur eggs ever found are about 20 cm in diameter. ­“The boundary between the shell and inner structure are clearly seen on the dinosaur eggs. I haven’t mentioned it on the discovery of the Chechen specialists,” Yuri Gubin from Moscow Museum of Paleontology told MK daily. “I think it’s a kind of sphere-like rocks. You can’t imagine how many such “eggs” were brought to our museum by Moscow residents”. 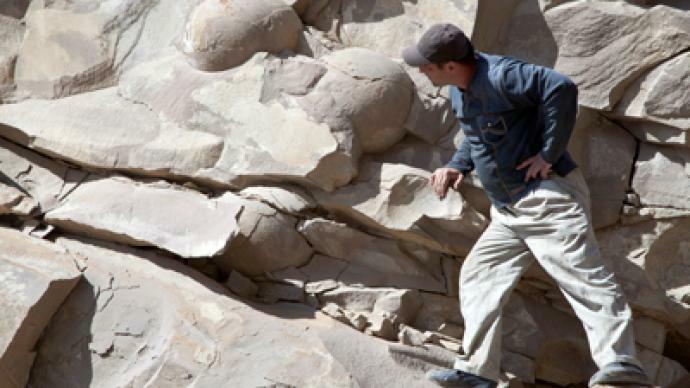 While the scientists are fighting over what they can be, the dinosaur ‘eggs’ have become a tourist attraction, with local companies organizing trips to see the strange spheres.